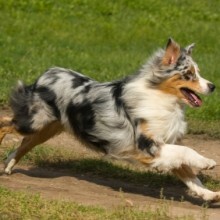 The Australian Shepherd is a very beautiful, medium sized dog who is used to working on a farm. His working background and great intelligence means that he needs to be challenged by doing obedience training and/or agility training. 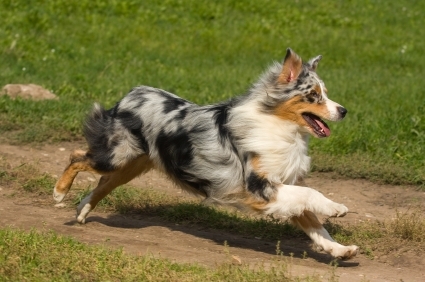 He has high energy and ideally should have at least two hours exercise every day with opportunities to run free. His thick coat will need regular and frequent grooming. Blood test for Pelger-Huet Anomaly (blood leukocyte development).